Interview with Melissa Morphet from Be Wellbeing Broth. When it comes to superfoods, you don’t often think of broth, but Melissa Morphet, founder of Be Wellbeing Broth has set out to change that. Broth, stock – same same. Well at least that’s what many of us may think. However, despite the term often being used interchangeably, they are in fact two very different products. Here, Melissa Morphet CEO & Founder of Be Wellbeing Broth helps us decipher the difference. I was living in New York in 2014 when I first started to see symptoms. I was eating a diet of highly processed and sugary foods and working in a fast-paced environment which resulted in constant gas and bloating. And my body was giving me signs that things just weren’t right. Is bone broth the new coffee? It’s an essential addition to risottos and casseroles but its apparent nutritional properties have the foodie world touting it as the next big thing when it comes to kick-starting your day. Get Souped Up. Three ways bone broth can make you fitter, happier and healthier. Broth, do you even lift? Why, yes, actually. The gelatin in broth acts as a “protein sparer”, which means it increases bioavailability of protein you consume with it. I’m pretty opened minded when it comes to testing health trends. I was ahead of the curve on quinoa back in 2010 (#humblebrag) and I was happy to give crossfit a crack when it became a thing to do. But I’ll be honest, I balked at bone broth. I mean, it doesn’t have quite the same ring as ‘chocolate milkshake’ does it. Melissa says changing her diet transformed her life – and her story is one all of us can learn something from. MOVE over kale juice. Gwyneth Paltrow and Salma Hayek are already part of the broth brigade. And paleo Pete Evans will be sitting up and taking notice of Point Piper resident Mel Morphet’s entrée to supermarket shelves. A woman who embarked on a bone broth DETOX after being struck down with arthritis at age 32 launches her own range of nutritious soups after discovering it helped “ease her pain”. For years now, I have gone for a chicken soup or a good broth for a quick boost in energy. Also, makes combating cold & cough a lot better. The reason we offer chicken soup or bone broth for the ones struck down by the dreaded cold is plenty. Bone broth contains collagen/gelatin, glucosamine, calcium, magnesium and amino acids – basically good stuff for our bodies. Swapping your daily coffee for a gut loving bone broth also makes for fast health food. We love: Be Wellbeing Broth, $7.50. Bone broth has become the wellbeing drink du jour for 2017 and now Be Wellbeing Broth is launching a range of ready-made options. 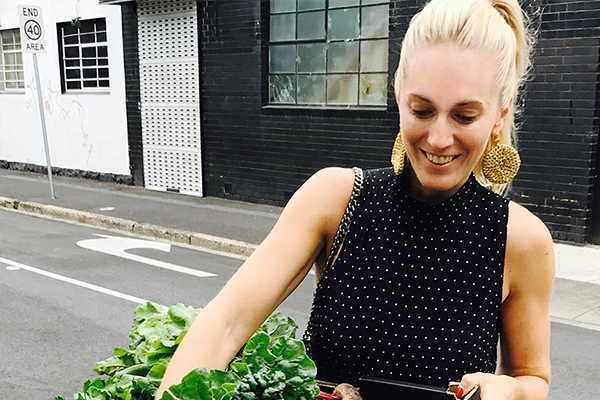 Melissa Morphet is launching the country’s first store-bought bone broth, Be Broth, at select Woolworths stores this week.